several examples are given to illustrate their efficiency. 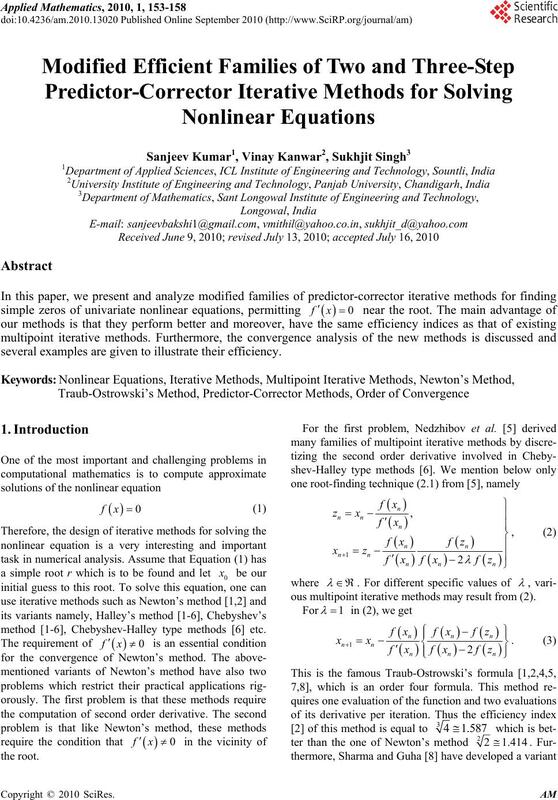 method [1-6], Chebyshev-Halley type methods  etc. 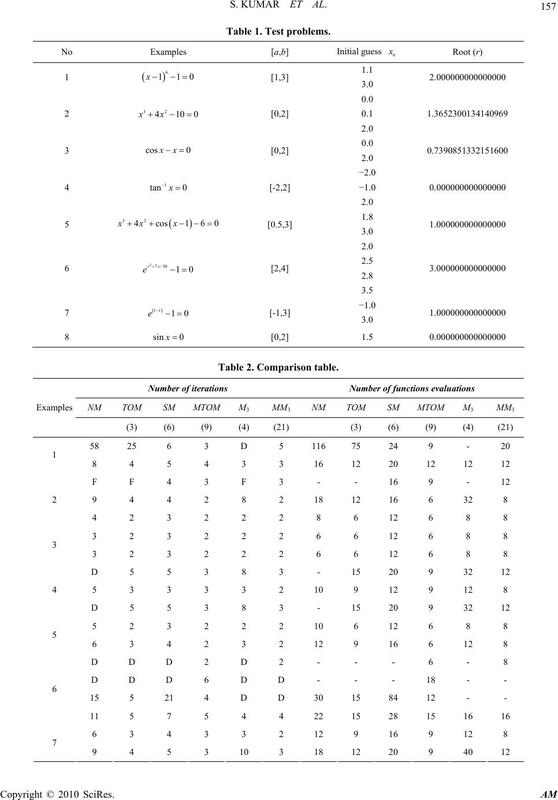 ous multipoint iterative methods may result from (2). 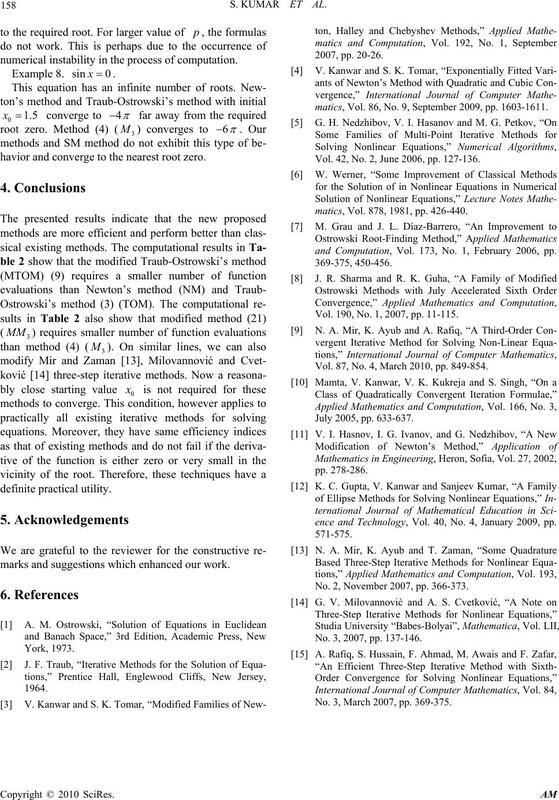 multipoint iterative methods of order three. 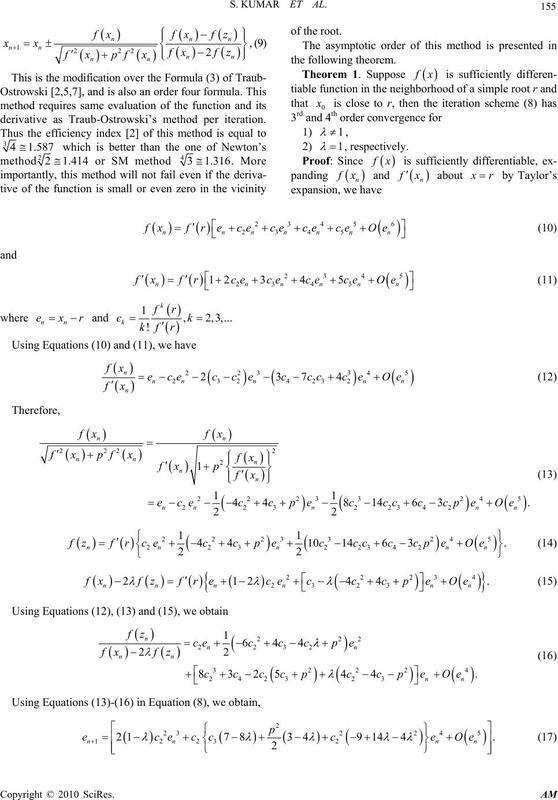 or Traub-Ostrowski’s method 34 1.587. 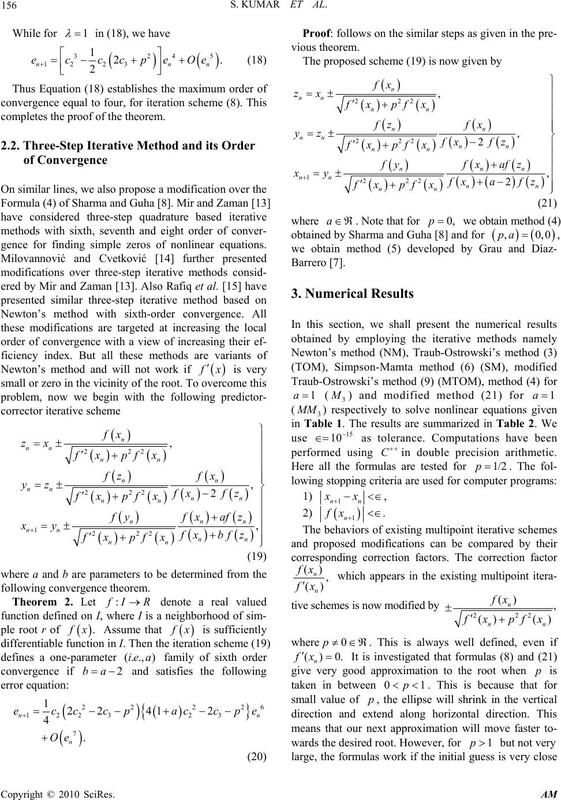 over, has the same error equation as Newton’s method. and the well-known Traub-Ostrowski’s Formula (3). 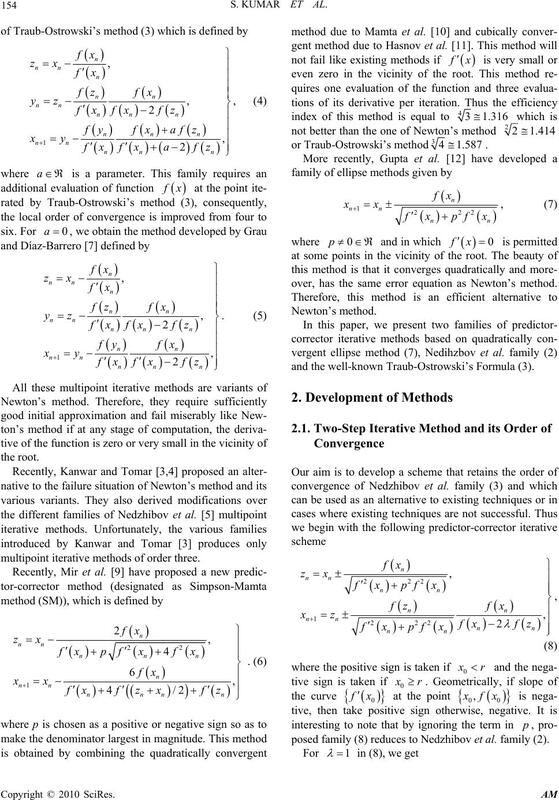 posed family (8) reduces to Nedzhibov et al. family (2). derivative as Traub-Ostrowski’s method per iteration. completes the proof of the theorem. gence for finding simple zeros of nonlinear equations. numerical instability in the process of computation. havior and converge to the nearest root zero. marks and suggestions which enhanced our work. matics, Vol. 86, No. 9, September 2009, pp. 1603-1611. Vol. 42, No. 2, June 2006, pp. 127-136.
matics, Vol. 878, 1981, pp. 426-440.
and Computation, Vol. 173, No. 1, February 2006, pp. Vol. 190, No. 1, 2007, pp. 11-115. Vol. 87, No. 4, March 2010, pp. 849-854.
ence and Technology, Vol. 40, No. 4, January 2009, pp. No. 2, November 2007, pp. 366-373. No. 3, 2007, pp. 137-146. No. 3, March 2007, pp. 369-375.